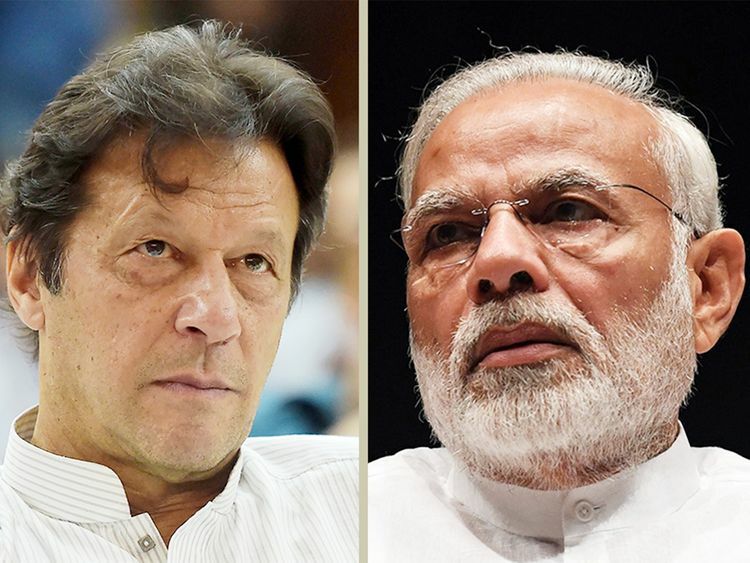 Dubai: Pakistan Prime Minister Imran Khan’s comment in favour of the re-election of Indian Prime Minister Narendra Modi holds solid ground when it comes to the ‘’sweet and sour’’ relations between the two nuclear-armed neighbours. Imran’s comments were probably taken out of context as he did not wish for Modi’s win as an individual. What he meant was an election win by Modi’s BJP– a right-wing political party. Because records show that Pakistan and India made some headway in relations and held talks only when the BJP was in power in India. Imran told a group of foreign journalists in Islamabad early this week that he thinks there may be a better chance of peace talks with India if Prime Minister Narendra Modi’s Hindu nationalist Bharatiya Janata Party wins the Indian general election. “Perhaps if the BJP— a right-wing party — wins, some kind of settlement in Kashmir could be reached,” he said. Imran assumes that a BJP victory is more likely to boost chances of peace between Pakistan and India. Imran also said the government led by the Opposition Congress party might be scared to seek a settlement with Pakistan over Kashmir due to a possible backlash from Right-wing elements. Imran said it was vital for Pakistan to have peace with its neighbours, Afghanistan, India and Iran, if it is to have the kind of economy needed to pull 100 million people out of poverty. Going by the history of Pakistan-India peace efforts, Imran’s views reflect his insight into Indian politics and the power of the BJP as no other Indian political party, including the Congress, has ever taken the initiative to make peace with Pakistan. It was the BJP and then Prime Minister Atal Behari Vajpayee, who took a bus to Lahore in 1999 and hugged his Pakistani counterpart Nawaz Sharif, leaving an endearing image that symbolised hope in bilateral ties. It was a short-lived thaw in the stormy relations between Indian and Pakistan as it ended fast because of the Kargil war. He also led an Indian delegation to Pakistan in January 2004 for the SAARC summit and held dialogue with then Pakistani President General Pervez Musharraf. General Musharraf was also invited by the BJP-led NDA government to Agra for talks in 2001. The two-day summit where Musharraf and Vajpayee held talks was one of the most important peace bids between the two countries after the 1999 Kargil war. Again, it was only the BJP’s Prime Minister Modi who took the initiative and invited the then Pakistani Prime Minister Nawaz Sharif to his swearing-in ceremony in Delhi. Modi surprised the Pakistani nation, when he without any plan, diverted his plane and landed in Lahore to meet Nawaz Sharif in 2015. Modi also congratulated Imran on his election as prime minister last year and sent him greetings on Pakistan National Day on March 23 even after a near war situation in February this year. Modi also met Imran in December 2015 in Delhi when he visited India to attend a conference. Modi spoke to him over the phone and exchanged letters after Imran was elected in August 2018. Contrary to the BJP, Congress Prime Ministers, including Indira Gandhi, P.V. Narasimha Rao and Manmohan Singh, never visited Pakistan during their tenures.